Well! Sticking to my guns has certainly paid off! Sante is NO LONGER LAME!! I pulled him out of the paddock today, and he was fine! trotted him out, and he was perfect!! I am fairly certain that i was right, the lameness was not caused by the crack / infection in the hoof, I think he was either kicked, or strained a muscle a fortnight ago in the run in. I am absolutely astounded at the hoofs ability to heal itself! On Thursday i went to the valley to check on him, and treated him with another dose of peroxide. When nothing happened to the hoof, i thought I'd stuffed up the dilution, so I did it again with a stronger dose, and STILL nothing happened no bubbling at all! Today when i checked on the foot, it didn't even LOOK like Sante's foot. The crack has kind of, contracted on itself. I will have to get photo's tomorrow and post them on the blog, but its increadible, you can see the new growth is growing straight, and narrow, and the entire hoof wall has kind of "pulled itself together". Thats another thing. His feet are growing SO QUICKLY. Its increadible, its like the feet are making up for lost time or something. I felt so much better today. Like as though I had stuck to my guns and been vindicated, i could breathe easy knowing that I'd made a call and it had worked out. Its interesting watching peoples reactions last week though. Everyone is so quick to offer their advice as "fact" when in reality, they admit they haven't got a clue what they're talking about, its what their farrier told them, or a friends farrier who told their friend who told them. Noone questions WHY. WHY would you put a shoe on a horse, when you are trying to get the load off the outer wall? WHY can't the horse fix himself? WHY don't wild horses need shoes? WHY will a brace fix my horses foot? How come I'm putting a shoe AND a brace on my horse, but his toe is so long? Isn't all the force on the outer wall coming from the fact that his toe is so long? Aren't we bandaiding a problem at not actually fixing the root cause? Wouldn't the solution be to shorten the toe? No. We put a shoe on it! Horse is lame? Put a shoe on it! Horse has wall seperation? Put a shoe on it! Horse is tender on the rocks? Put a shoe on it! Horse has hoof wall cracks? Put a shoe on it! People need to start thinking about how the hell horses did this stuff in the wild. Quite frankly, horses didn't sit in half acre paddocks munching on green grass all day. They moved over rocky, sandy hard terrain in search of food and water, and all their movement caused them to trim their own feet. If people actually researched wild horse hoofs and saw how DIFFERENT they look compared to our domestic horses, they'd start to get the drift. 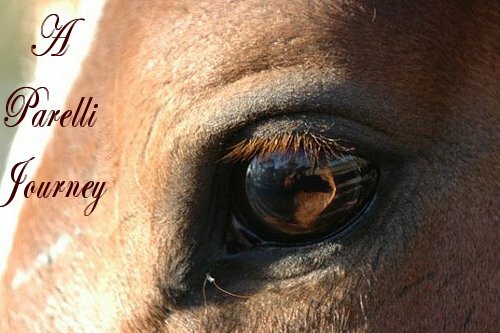 Surely to goodness the horse has the ability to heal itself. If we just set them up for success! Keep them trimmed correctly and reguarly. Feed them correctly a balanced diet with all the minerals they need in order to grow strong healthy feet, and get them out of their paddocks and on the trails!